We’re all a band of brothers…especially when we’re talking about preserving the memory of our nation’s fallen heroes. 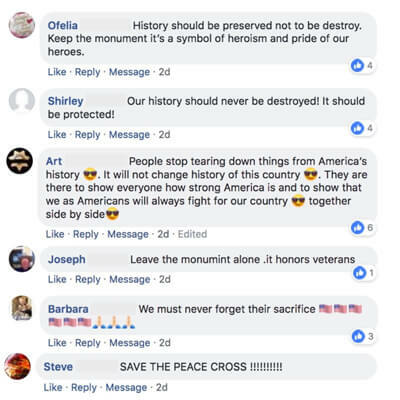 Today, you and other patriots all throughout the country are rallying together with First Liberty in our pledge to keep the Bladensburg WWI Veterans Memorial standing. 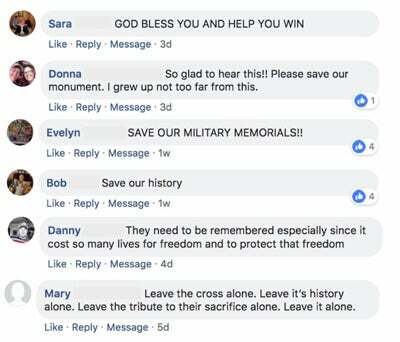 What’s more, your support for our nation’s veterans and their memorials keeps pouring in left and right! Right now, there are already over 15,000 of you who have made your voices heard by signing our petition! And you’re not alone in your passionate devotion to America’s veterans. 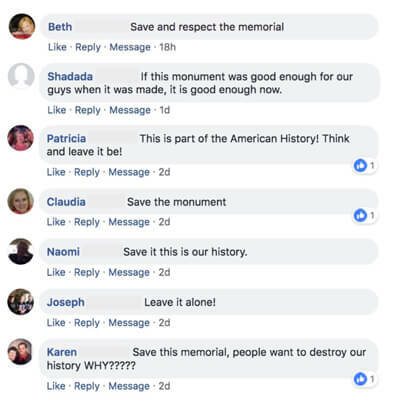 Prominent leaders, respected veterans organizations, and leading religious institutions in our country have expressed their support, joining us on the frontlines to save this iconic piece of our nation’s history. 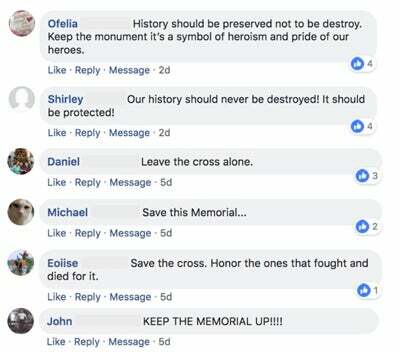 Capitol Hill leaders like Sen. Ted Cruz, Rep. Jim Jordan, Rep. Steve Scalise and 106 other members of Congress have come on board to support our effort, as well as 30 Attorneys General from multiple states who’ve made it loud and clear that the Bladensburg Memorial is a part of America’s heritage, history and values. Not to mention, America’s most decorated living veteran – Gen. Patrick Brady – and a host of other veterans groups, like the Military Order of the Purple Heart, the Veterans of Foreign Wars and Medal of Honor recipients, have likewise joined this historic fight. In fact, this case has garnered more amicus (friend-of-the-court) briefs than any U.S. Supreme Court case in the last 5 years! Help us win the Bladensburg Memorial case at the U.S. Supreme Court. 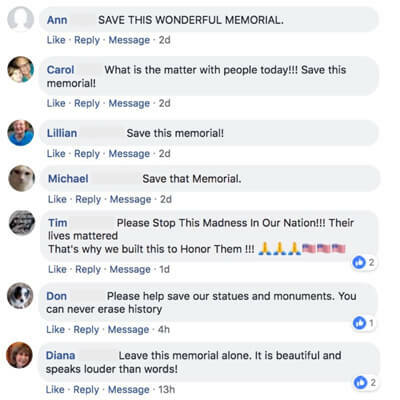 Thousands upon thousands of you are making the powerful statement that our veterans matter. That their blood and sacrifice is significant. That they will never be forgotten. 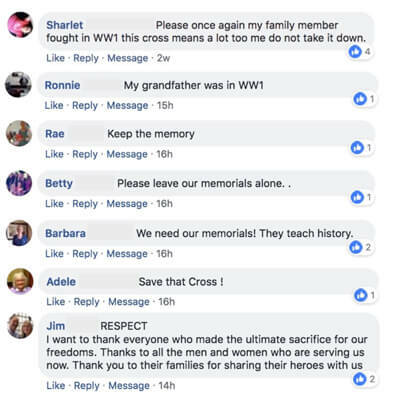 After all, the dead cannot speak for themselves – and it falls on you, and all of us really, to speak up for them and defend their legacy of sacrifice. 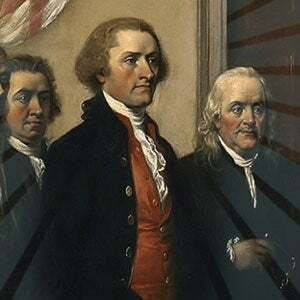 As we get closer and closer to February 27th – the day when our team will head to the U.S. Supreme Court to fight the final battle for Bladensburg – many of you continue to step up and speak boldly, letting everyone around you know that this is, without a doubt, one of the most unprecedented opportunities of our generation. 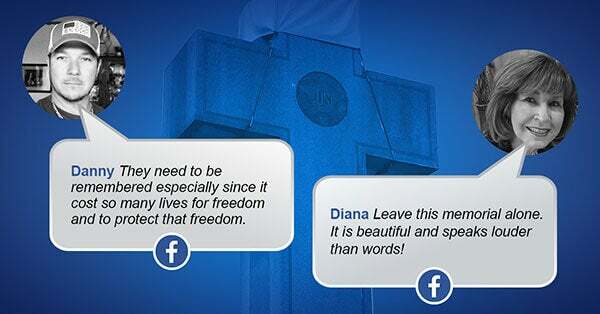 Grateful citizens – like you – know that we MUST honor those who have fallen in battle and to keep the Bladensburg WWI Veterans Memorial standing as a visible reminder of their valor, sacrifice, endurance, and devotion.